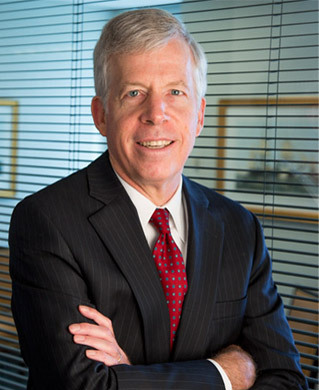 Bob Case is Chief Executive and Senior Managing Director of Ingalls & Snyder, and chairs the firm’s Executive Committee. He joined the firm in 2011 after an extensive career in investment banking, alternative investments and risk management. From 2007 through 2011, Bob was with JP Morgan, where he was head of Principal Investment Management, a unit that developed and managed alternative strategies, including Private Equity Principal Investments, which Bob founded and led. Bob also held risk management roles globally for the bank’s treasury and securities services platforms. From 1993 to 2007 he worked at Citigroup/Smith Barney in a variety of senior roles, most notably as Chief Administrative Officer of Smith Barney, Inc., and as CAO of Citi Alternative Investments. Bob also served as Director of Private Client Investment Strategy in Citi’s Investment Research group. Bob began his career as a mergers & acquisitions specialist at Morgan Stanley, where he rose to Managing Director. Bob received an A.B. from Harvard College in Applied Mathematics, a J.D. from Harvard Law School and an M.B.A. from Harvard Business School. He and his wife Susie reside in New York City and have two children. In his time off, Bob enjoys skiing, both on water and snow.